I read (and recommend) a lot of literary fiction. Also a fair number of (auto)biographies and a decent amount of narrative nonfiction about science and history, a lot of young adult literature (not that YA can’t be literary – it often is), and a smattering of other genres. But a couple weeks ago I saw a Kirkus list of “10 Great Books That Will Make You Laugh Out Loud,” and I thought I’d compile my own list. I originally wrote this post for the library blog, but I’ve tweaked some things, and changed all the links below so they go to Goodreads instead of the library catalog. Heather Armstrong: Better known to the Internet as Dooce, Heather Armstrong is a blogger and a mother, but to call her a “mommy blogger” would be misleading. Ex-Mormon Armstrong writes with passion, humor, obscenity, and honesty about her life, her family, and her mental health. Her 2009 book, It Sucked and Then I Cried: How I Had a Baby, a Breakdown, and a Much Needed Margarita, is probably the funniest book about post-partum depression in existence. 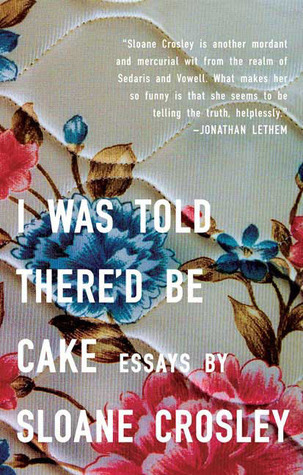 Sloane Crosley: The titles of her two essay collections, I Was Told There’d Be Cake (2008) and How Did You Get This Number? (2010) should give an indication of Crosley’s wit, attitude, and willingness to write about situations so embarrassing that most of us would never speak of them aloud, let alone commit them to paper and make them publicly available. 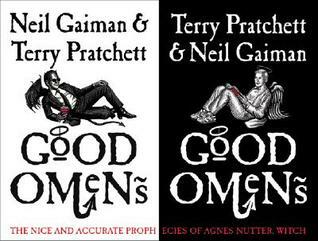 Yet, after reading either of these books, you will probably want her to be your new best friend. Tina Fey: The star of 30 Rock and one of the reigning queens of comedy, Tina Fey’s Bossypants (2011) chronicles her childhood, adolescence, and her entry into the world of comedy. She’s matter-of-fact, down to earth, and extremely funny. (“If you retain nothing else, always remember the most important Rule of Beauty: ‘Who cares? '”) I have heard that the audiobook version of Bossypants is also excellent. Justin Halpern: You might be inclined to write off Sh*t My Dad Says as no more than flash-in-the-pan Twitter material, but give this book a chance: Halpern’s dad’s quotes are grouped by theme, and the sections are divided by short, heartfelt, insightful essays that make it really worthwhile. Plus, the essays give your laughing muscles a break. 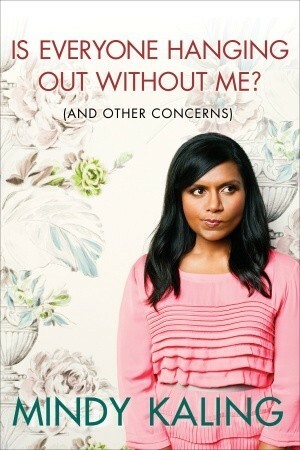 Mindy Kaling: Is Everyone Hanging Out Without Me? (and Other Concerns) (2011) reads like the younger generation’s Bossypants. Kaling’s writing style is casual and conversational, amusing (“The staircase in our third-floor walk-up was the steepest, hardest, metal-est staircase I have ever encountered in my life. It was a staircase for killing someone and making it seem like an accident”) and sometimes even wise (“One friend with whom you have a lot in common is better than three with whom you struggle to find things to talk about”). Simon Rich: Former Harvard Lampoon president and a writer for SNL, the prolific Rich is also the author of several short story collections and short novels, including Ant Farm: and Other Desperate Situations (2007), Free Range Chickens (2008), and What in God’s Name (2012). From what the dalmatians on the fire truck are really thinking to what angels do in heaven, Rich has a wildly humorous explanation for things it hasn’t even occurred to you to wonder about yet. David Sedaris: Where to begin? 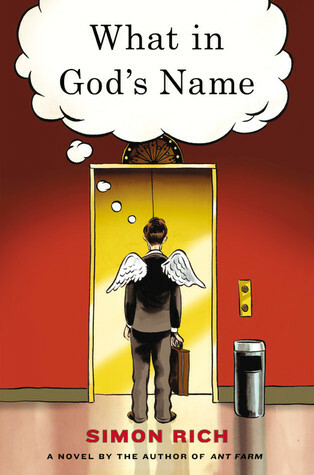 Sedaris has written many books, including essay collections, memoirs, and short stories; his work has often appeared in The New Yorker. Start with a relatively recent essay collection, When You Are Engulfed in Flames (2008), or go earlier and check out Me Talk Pretty One Day (2000). If you’re feeling festive, try Holidays on Ice (1997); if you’re in the mood for very dark versions of Aesop’s fables, try Squirrel Meets Chipmunk: A Modest Bestiary (2010). Most of his work is also available in audio. Sarah Vowell: Laugh and learn as Sarah Vowell explains history with a modern (liberal) perspective and incisive sense of humor. 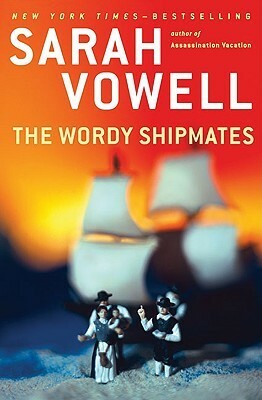 From the Massachusetts Bay Colony (The Wordy Shipmates, 2008) to Hawaii (Unfamiliar Fishes, 2011) to dead presidents (Assassination Vacation, 2005), Vowell provides some of the most entertaining scholarship out there. Like David Sedaris and Tina Fey, she narrates her own audiobooks. 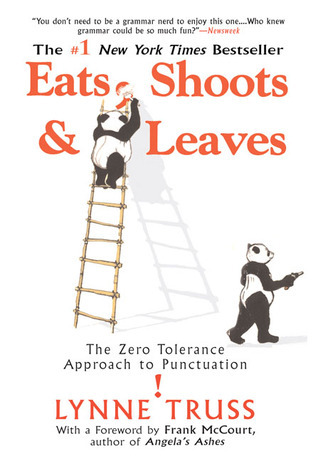 Did I neglect to mention your favorite funny book? Let me know in the comments. The first thing that I thought of was Fear and Loathing in Las Vegas, though I also get a lot of laughter mileage out of Dave Barry and George Carlin’s books. How could I forget Dave Barry? And George Carlin? Though this list wasn’t intended to be comprehensive, those are pretty serious omissions. Thanks for mentioning them!